Grain - Cooperative Producers, Inc.
CPI operates 23 grain facilities in Nebraska with a total storage capacity of 84 million bushels. We constantly invest in upgrades to ensure we have modern, efficient and safe facilities. This enables us to add value and share success by providing the industry-leading service and support that our customers have come to depend on, all while dumping their grain as quickly and efficiently as possible. We have shuttle loaders on the BNSF at Fairmont, Funk, Hastings and Red Cloud, and on the UP at Hastings and Hayland. These strategically placed train-loading facilities enable us to ship grain from almost all of our locations to reach the best train markets available, whether in the export or domestic markets. In addition, our facilities are located close to a multitude of local markets to help facilitate the movement of grain and help satisfy the local demand base. Another important part of our grain division is the CPI Direct program, where grain can be picked up from your bin site or delivered to various markets available within our trade territory. We can provide transportation to move your grain or you can deliver this grain yourself. This service allows you to receive the best price that we can get for your grain. 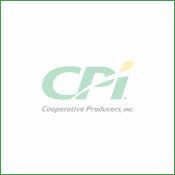 We offer the following grain contract options at CPI. Click on each type of contract for details. 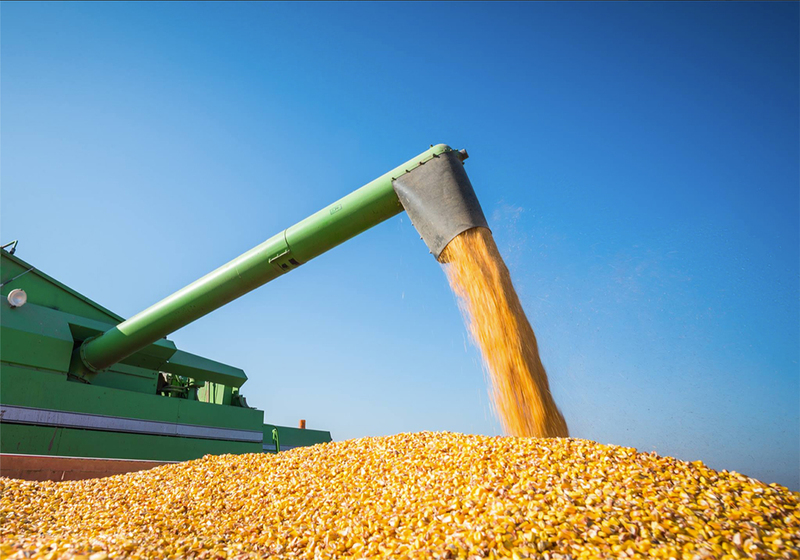 DP contracts are utilized by the buyer to help get ownership during harvest or to help facilitate the movement of grain from farm storage to grain elevators during the winter/spring. This option enables a customer to commit to a specified number of bushels for delivery during a specific time frame, to a specific place and at a specific price. This contract authorizes the customer to lock in a basis for a specified delivery time, quantity and location. This enables the customer to capture what would be an attractive strong basis and stop monthly charges. One drawback to this contract is that no price protection is afforded, as the futures price has not been established yet. This allows the seller to lock in a futures price for a specified delivery time, quantity and location. It enables the customer to establish a futures selling price that is attractive to them and within the pricing restrictions of the contract; they can price the basis at a later date. With futures prices being volatile, the customer can lock in the futures to manage that volatility. There is a service charge associated with this, which is due at the time of contract settlement. The service charge varies depending upon commodity and length of time until the contract matures. A customer can leave an offer to sell grain at a price they want for a specific delivery period under this option. This offer can be for any delivery period that we currently have a bid for; it can be left as a good-to-cancel offer, or for any time up to 30 days. The minimum amount for this contract is 500 bushels. This contract allows the seller to defer payment for grain from one tax year to a later year. The disadvantage is that once this contract is entered into, the money can’t change hands until the date listed. If paid earlier than the contract requires, unknown tax consequences could result for other deferred payment contract holders. This option allows the customer to deliver bushels and eliminate monthly charges while staying in the market and receiving partial payment. The customer will sell their cash grain and buy a July futures position that CPI will attach to their contract. One drawback to this contract is that there is no price protection, as all risk is in the July futures market. The customer will receive the penny-for-penny change from the time we lock in the July futures price to the time the customer gets out of their July futures position. A service charge of 3 cents per bushel applies. This contract takes the emotion and hassle out of a marketing decision by automatically executing on behalf of the customer. The seller will receive an average cash price in a window when historical seasonal values are typically at the highest. Consistent participation on an annual basis maximizes the customer’s results with the Average Seasonal Cash Price Contract. A 3 cent per bushel service charge applies, which is due at the time of contract settlement. Please click here for more information on the average seasonal cash price. This contract takes the emotion and hassle out of a marketing decision by automatically executing on the customer’s behalf. The seller will receive an average futures price in a window when historical seasonal values are typically the highest. Consistent participation on an annual basis maximizes the customer’s results with the Average Seasonal Futures Only Price Contract. This allows the customer to set their basis at a later date. There is a 5 cent per bushel service charge associated with this contract, which is due at the time of settlement. Please click here for more information on the average seasonal futures only price. This option allows the customer to deliver bushels and eliminate monthly charges while staying in the market and receiving Minimum Price payment. The customer will sell their cash grain and select a futures month strike price and premium price of a CALL option. Option premium plus a 2 cent service fee will be subtracted from the cash grain price to establish the floor “Minimum Price”. If the market rallies, the customer must price the option to receive further payment before the contract or option expires. Today's grain market is volatile and competitive. As a result, managing the marketplace can be time-consuming and your product is often undervalued. By working with CPI and joining the CPI Direct program, our team of highly skilled marketers and originators will help you manage your risk to get the best deal on your grain and the most value to your operation. CPI Direct will quickly become your most valuable partner by transporting your grain and providing you with industry-leading service and support. Take advantage of our marketing tools, technology, team and security. If you're going to work direct-to-farm operations, make sure you have the CPI Direct team working with you to see it through.